Office Furniture Services has over 20 years of experience in office furniture installations, glass wall installations, corporate moves, facility management and more. We have experience with all the major furniture lines including: Herman Miller, Kimball, Alur, Knoll, Allsteel, Steelcase, Evolve, JG, Hon and many more. 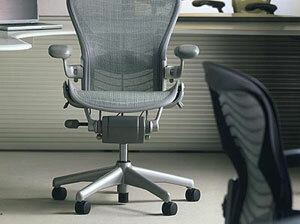 Office Furniture Services is located in Phillipsburg, NJ. Our centrally located warehouse enables us to provide contract furniture receiving, storage, and distribution services to businesses within New York, New Jersey, and Eastern Pennsylvania. Office Furniture Services is competitively priced with other companies in the industry. What sets us apart from our competition is customer service, work ethic, and professionalism. Our goal is to create a functional and attractive workspace with minimal inconvenience to your business.